← The Daily Scrapbook 3/11/13 From 1978, More Trek Movie News, Blueprints Stolen! 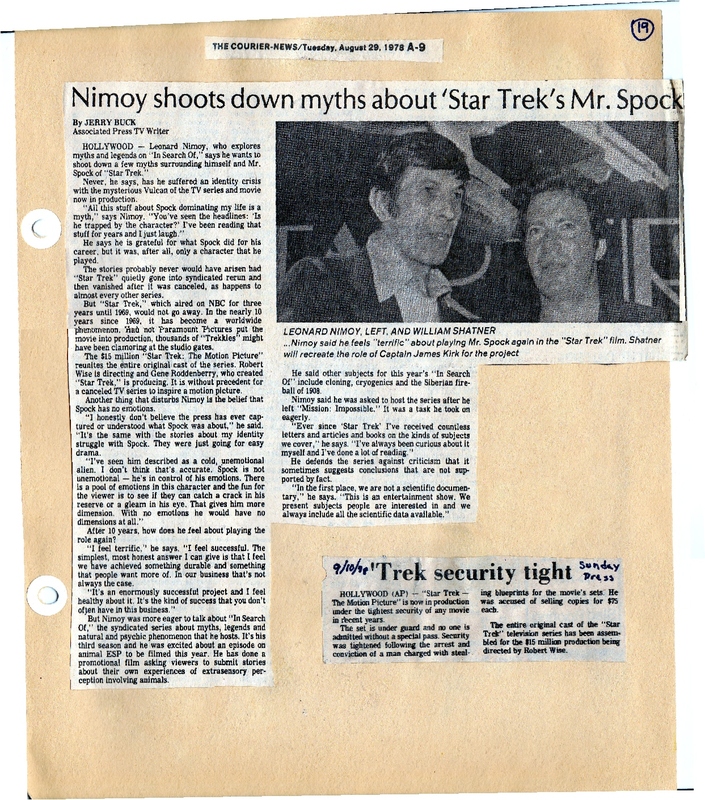 Here’s today’s Flashback: From August 29th and September 10, 1978 –First Nimoy replies to the many fabrications made about Spock over the years, and a quick blurb about how security was tightened for the movie after blueprints were stolen. I especially like how Nimoy reminds those not familiar with Spock that the character is NOT cold and unemotional, just trained to hide his emotions, which I’m sure isn’t easy for a half-human! This entry was posted in My Star Trek Scrapbooks and tagged Myths, Nimoy, Spock, Star Trek. Bookmark the permalink.